Coffee is the third most traded commodity in the world and the most popular beverage in the world. And unlike many other popular beverages, coffee can actually be quite good for you when consumed properly. 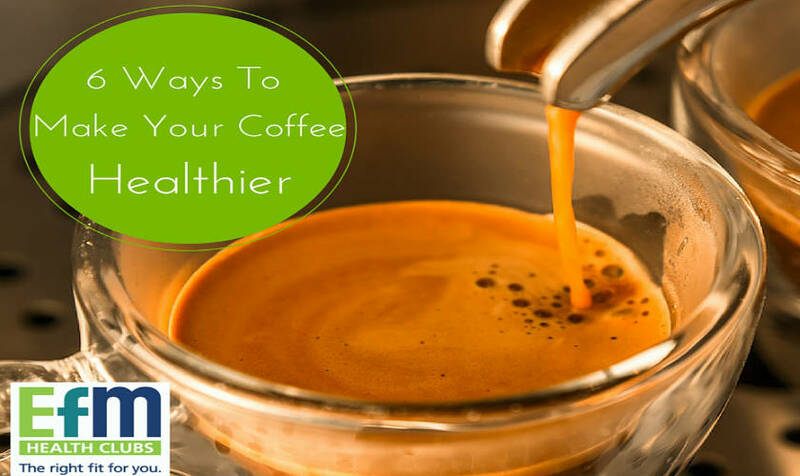 Use these tips to keep your coffee habit healthier! A touch of sugar might not hurt, but if you have to load down every cup with two or three spoons worth of sugar you really shouldn’t be drinking it. High sugar consumption has been linked to all kinds of diseases and it’s already in most of your food. Filling your coffee with sugar makes it really not much better than having a soda first thing in the morning. If you really can’t imagine your coffee without sugar try sweetening it with Stevia or honey. It might be more expensive but a high quality coffee brand is almost always worth it. Many cheaper brands of coffee have been found to contain mild mold toxins which can add up over time if you drink a lot of coffee. How it is grown and processed also has a massive impact on the health effects and how it tastes. Make sure you do your research instead of just picking the most expensive coffee you see. You should know how it is grown and roughly how it is processed before you switch to a more expensive brand. While there are still many people who swear by them, artificial sweeteners really aren’t a good idea. They might not have calories but they have been linked in many studies to various health conditions including a couple different forms of cancer. The healthiest coffee is black coffee, but if you really must use a sweetener try to stick with honey or Stevia. This solution won’t only make your coffee healthier, it will also make your coffee more delicious. Cinnamon is a popular spice that goes well in all kinds of things and particularly well in coffee, but that’s not all. Cinnamon is also excellent for reducing glucose and cholesterol, although studies around this have so far focused on diabetics. The great thing about this is that you can really add as much cinnamon as you want to and it only gets better for you. You really shouldn’t put anything other than actual milk, skimmed milk into your coffee. Low fat dairy products typically use sugar to replace the flavour you’d ordinarily get from the fat, and artificial creams. These tend to be highly processed and typically contain a variety of chemicals that aren’t particularly good for you. If you really must have cream instead of milk, stick with all natural cream. The fat found in natural cream is far healthier than the fructose syrup found in most artificial and low fat products. Like cinnamon, cocoa is a delicious addition that is actually good for you. Only cocoa goes further: pure cocoa is actually considered a superfood. It is jam packed with antioxidants, more than most foods typically associated with antioxidants, and it’s been proven to reduce your risk of heart disease as well as providing many other health benefits. You can sprinkle as much of this as you want, but pure cocoa can get expensive so you’ll probably only want to add a touch to each cup. Make sure the cocoa you’re getting is as pure as possible. Your coffee habit can actually be one of the healthiest habits you have if you do it right!